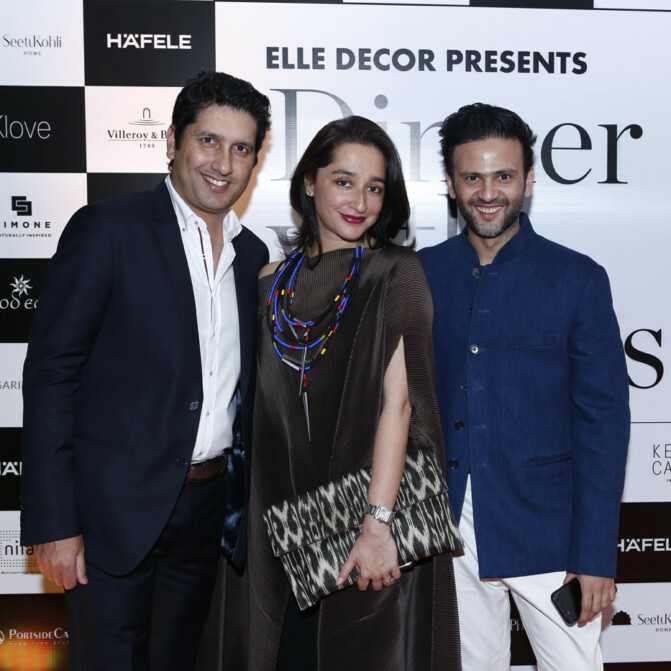 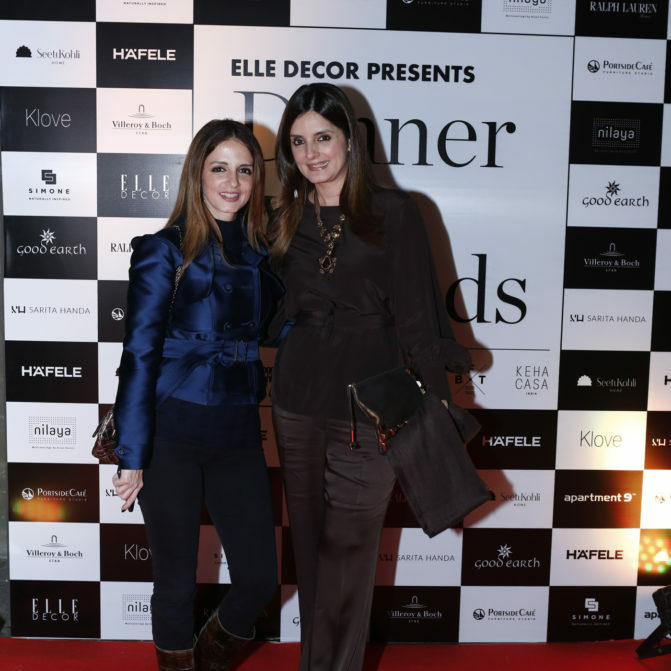 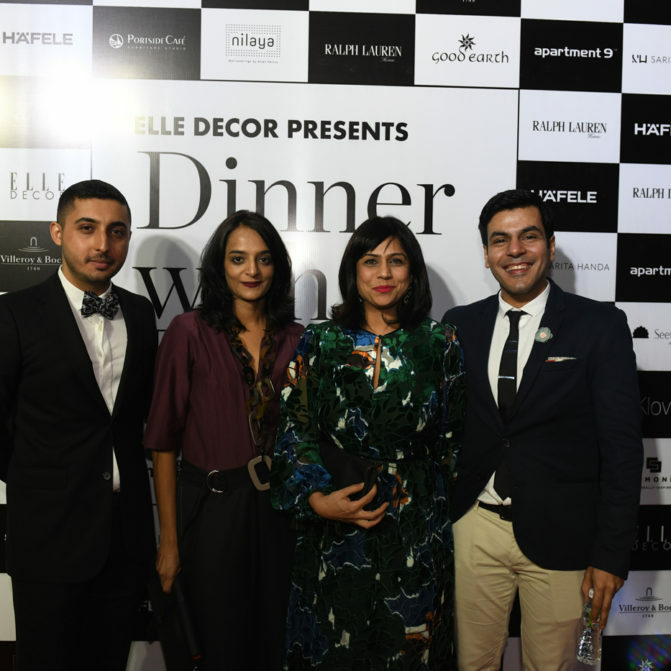 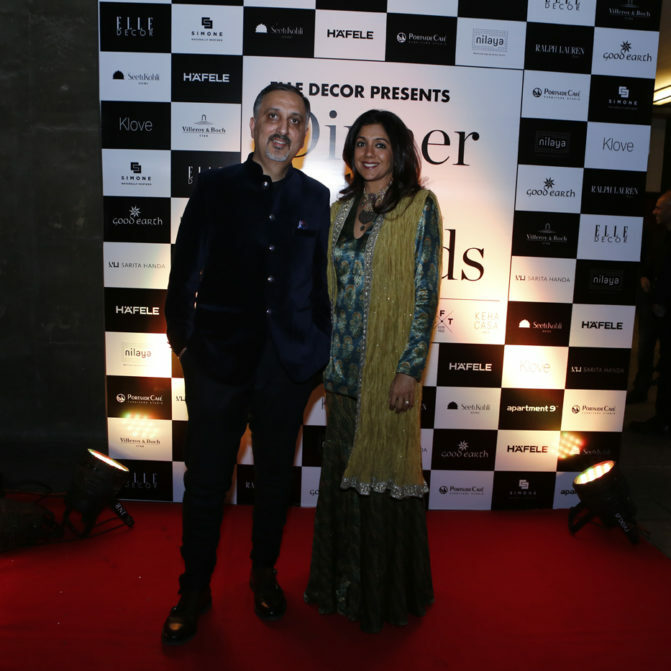 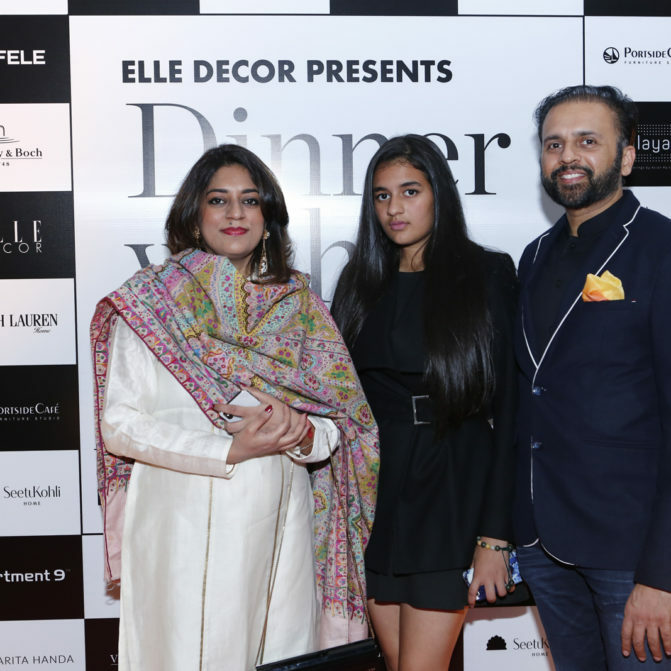 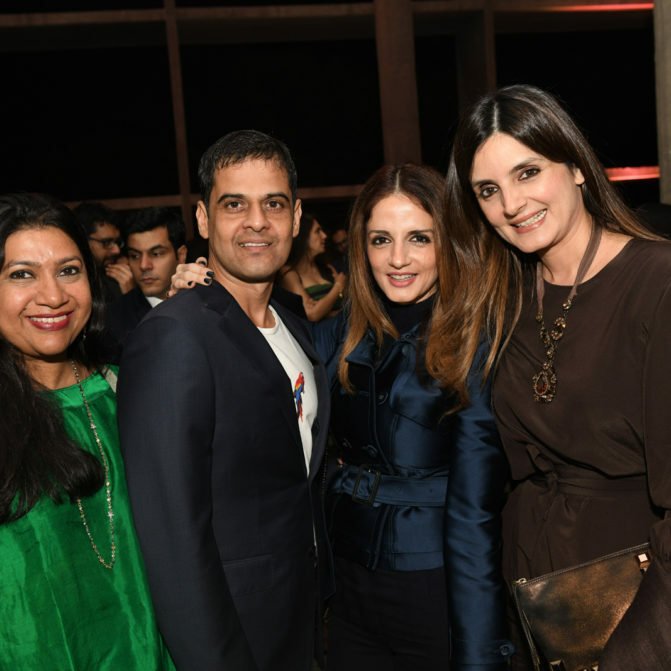 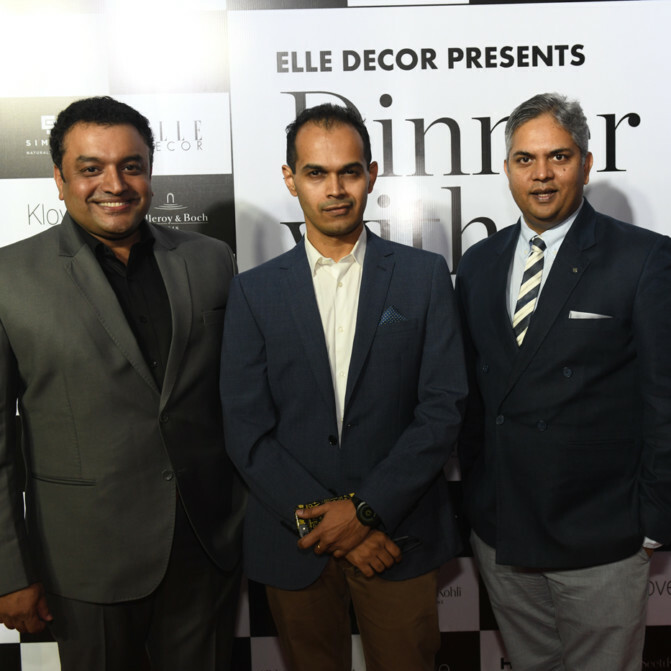 The legendary Mill Owner’s Association building in Ahmedabad was transformed overnight into the venue for the grand reveal of ELLE DECOR India’s 17th anniversary issue cover. 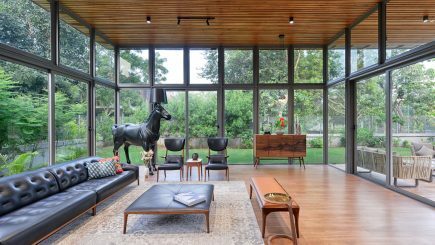 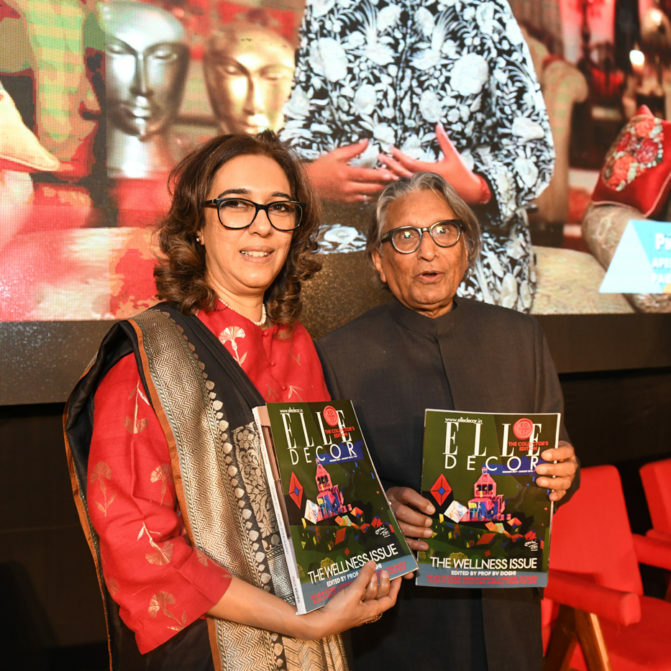 All the biggest names in Indian architecture and design converged within the hallowed halls of the structure often referred to as the ‘guru’ by architects in reverence of its designer, Le Corbusier. 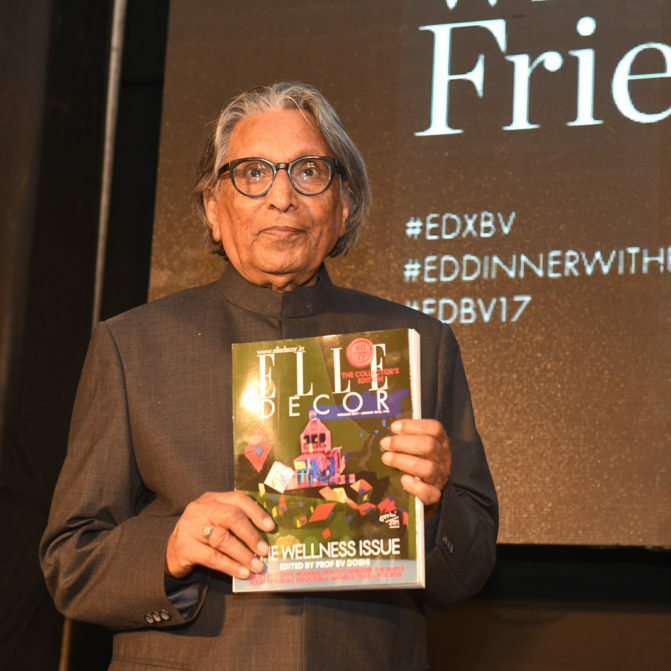 The place was especially chosen for the occasion by the ELLE Decor team, because this issue’s Guest Editor is none other than the renowned visionary Prof. BV Doshi, Le Corbusier’s protege. 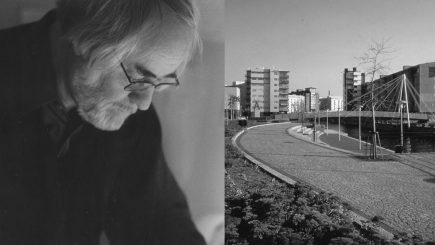 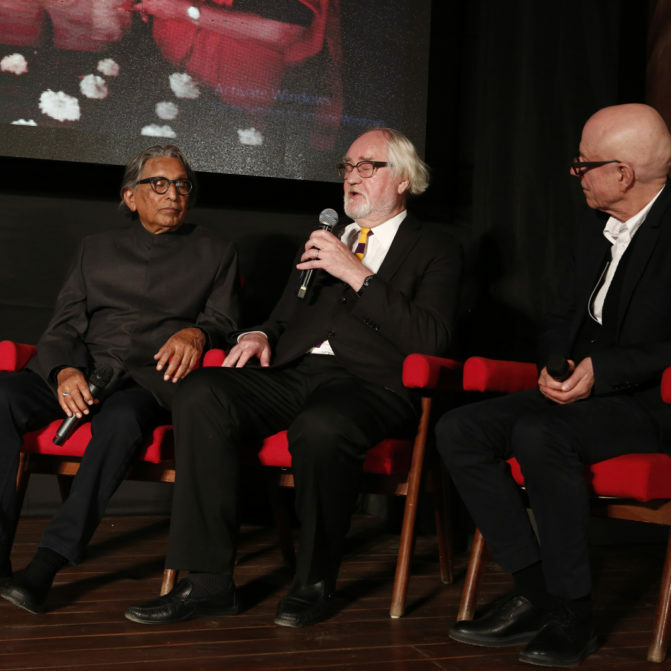 The event kicked off with an informal discussion between Prof Doshi and his friends, Juhani Pallasmaa, Rolf Fehlbaum and Sen Kapadia. 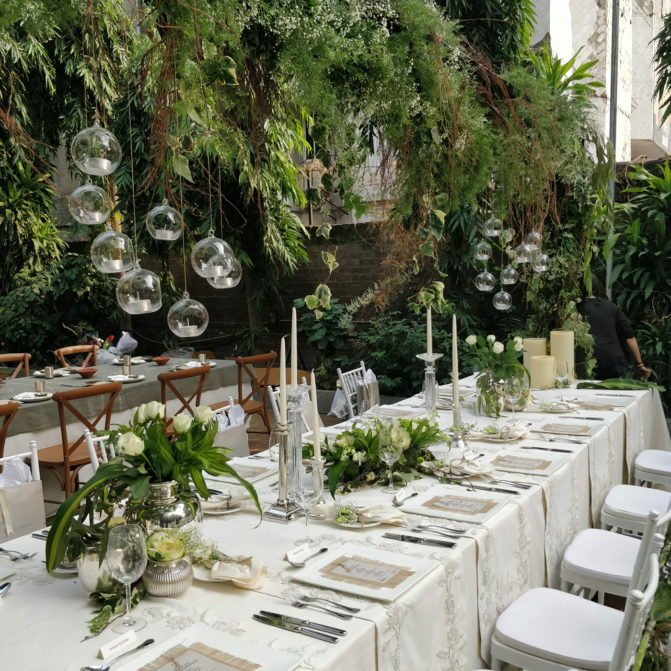 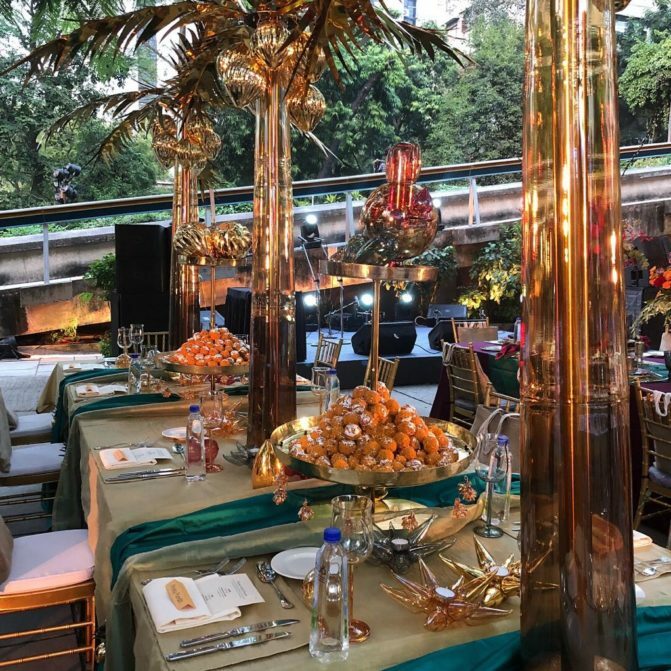 From anecdotal inspiration, the guests were then treated to a visual delight as they made their way to dinner to an elegantly lit and tastefully decorated courtyard. 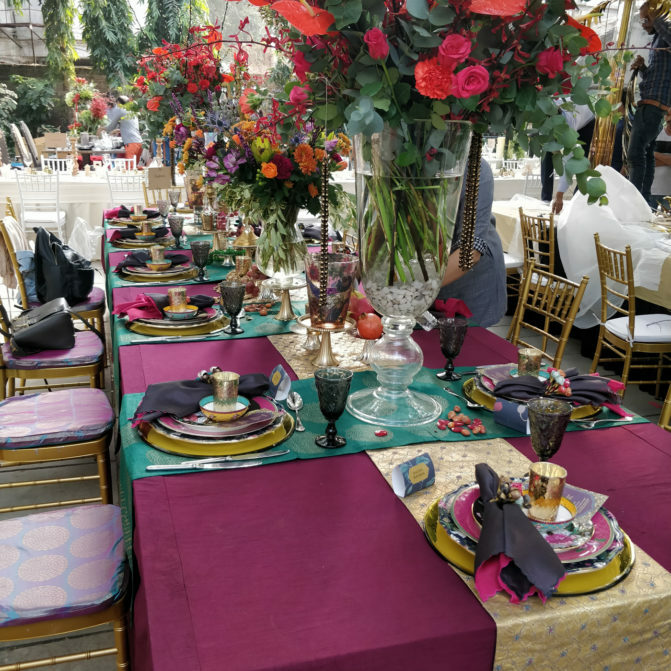 13 dazzling tables — each superbly decorated to reflect an emotion or trait of our Guest Editor — were met with exclamations of awe. 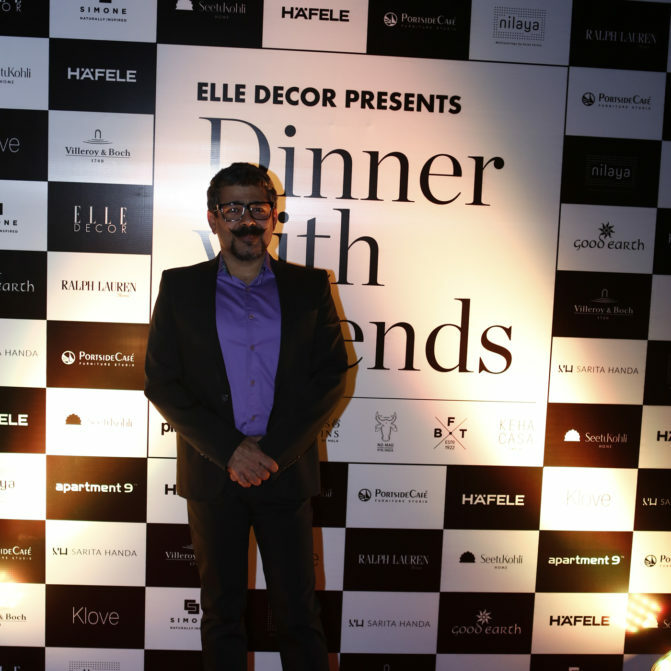 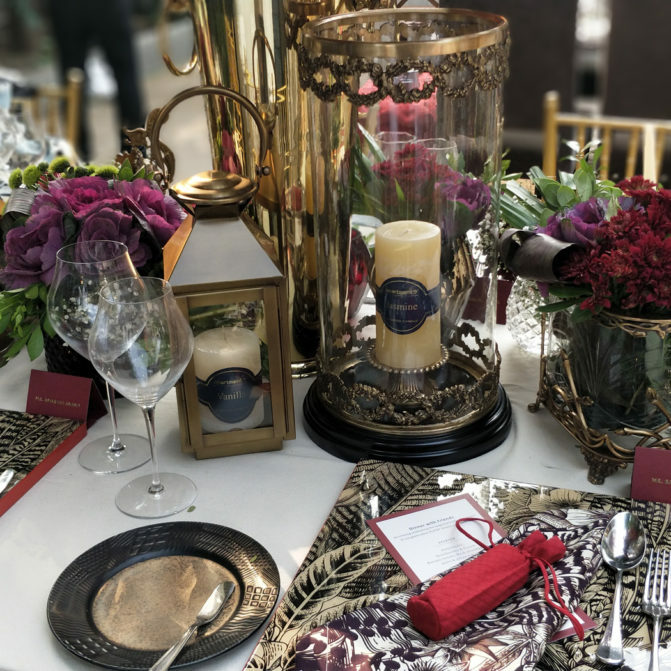 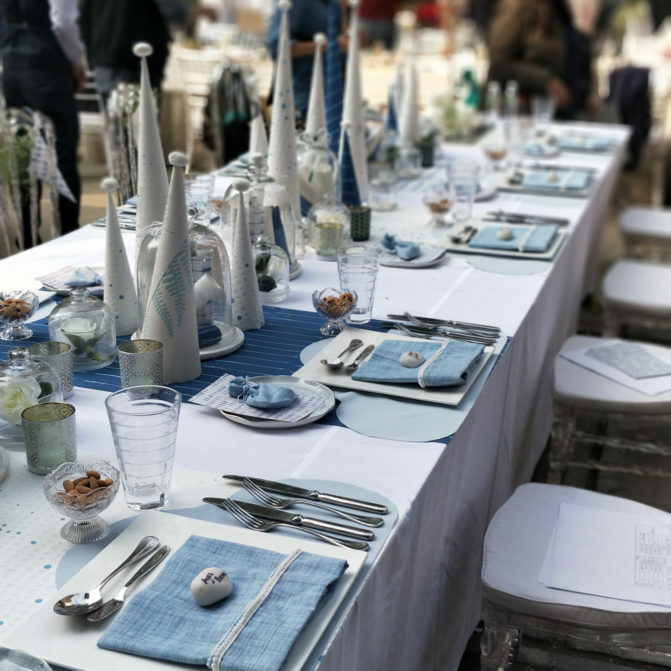 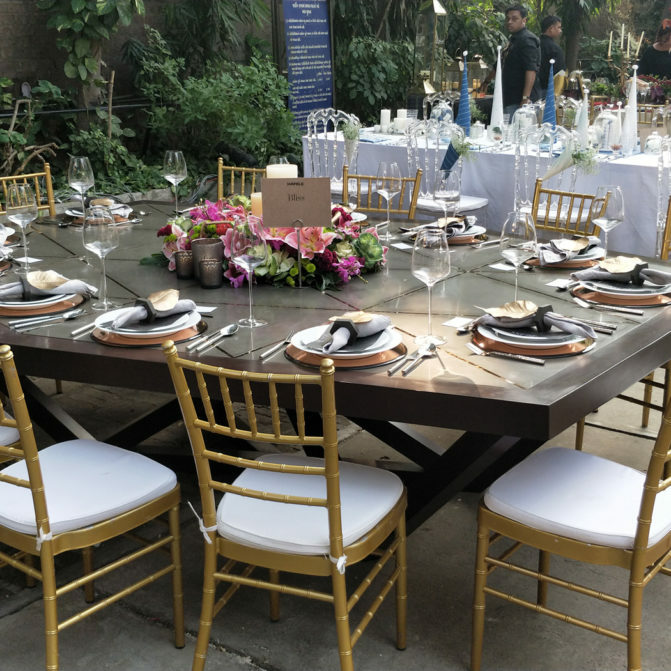 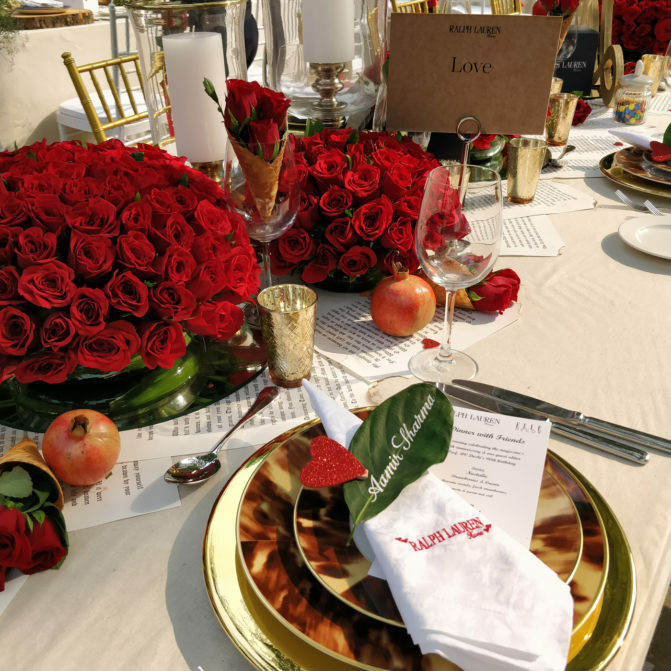 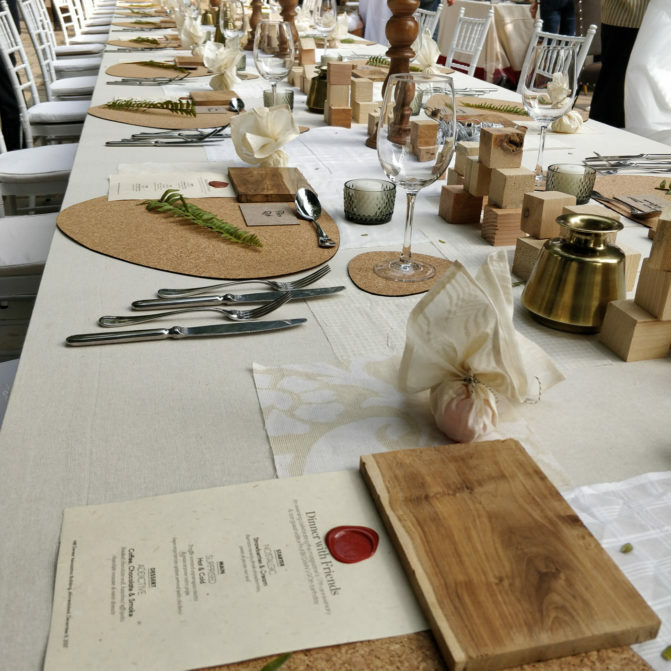 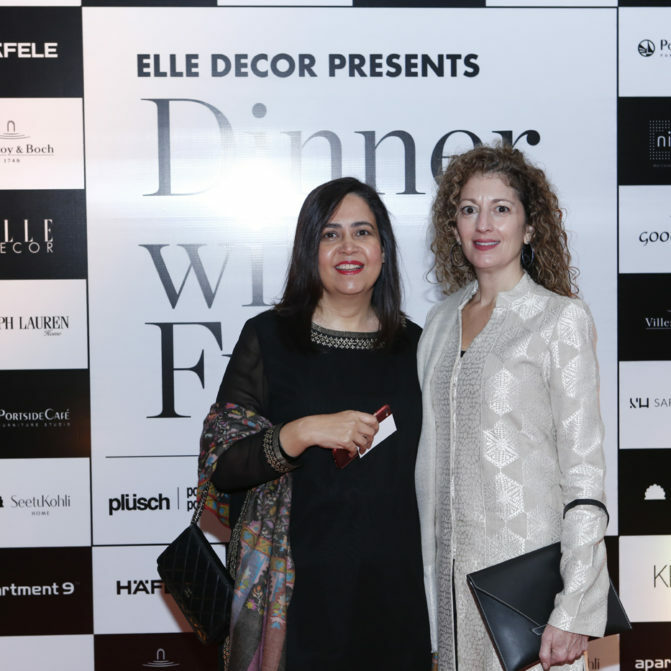 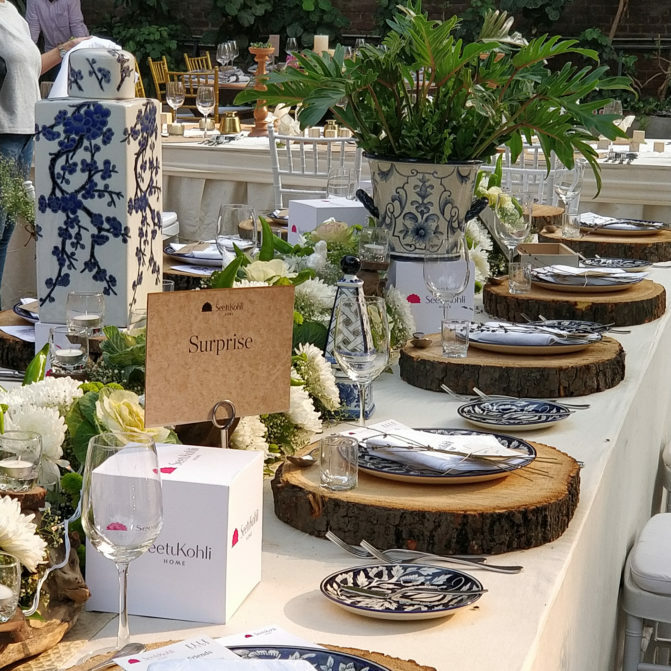 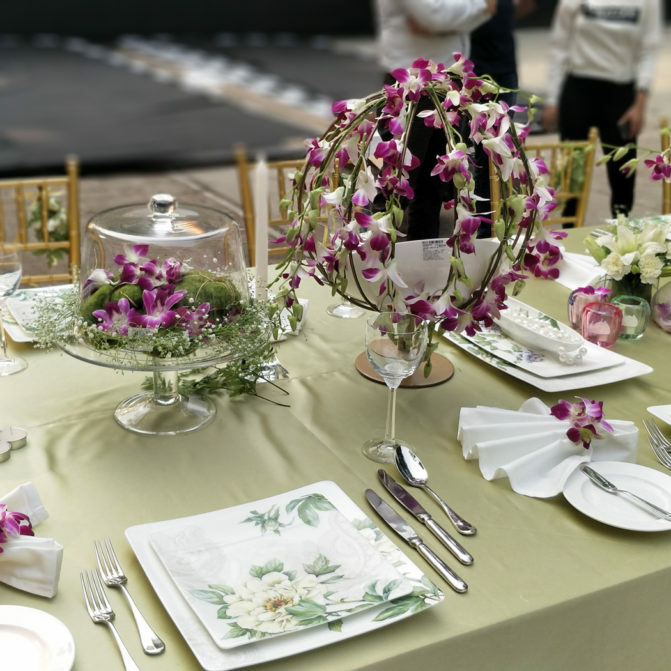 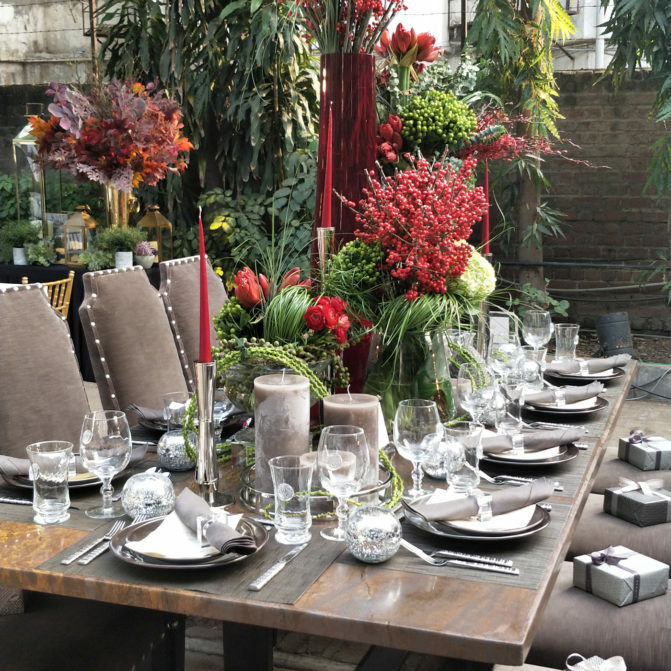 The tables were hosted by some of the biggest brands in the country, namely Good Earth, Nilaya by Asian Paints, Portside Cafe, Apartment 9, Seetu Kohli Concepts, Ralph Lauren Home, Sarita Handa, Klove, SIMONE… Naturally Inspired, Villeroy & Boch and Hafele. 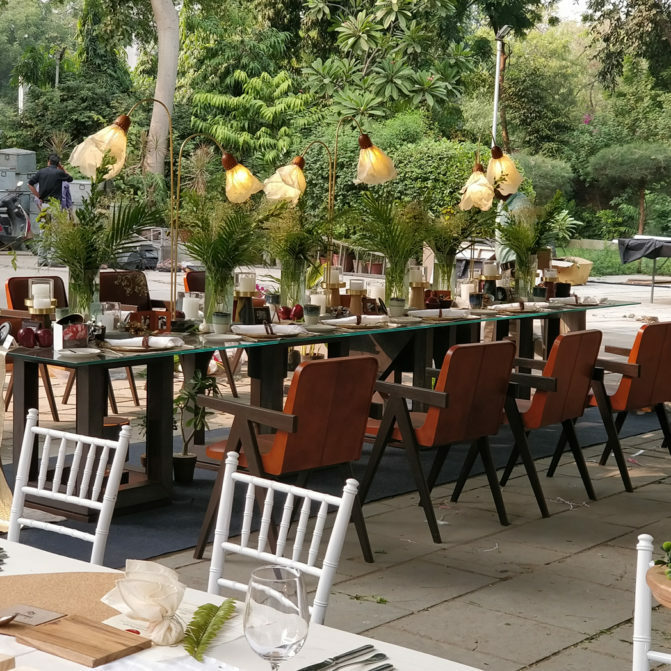 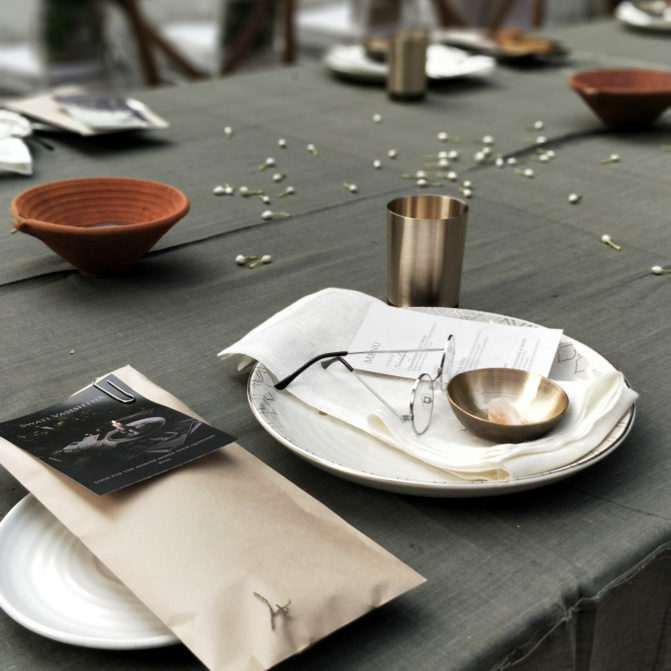 Neeraj Sharda and Pooja Raheja from Eat Drink Design interpreted Prof Doshi’s memories on a plate, from French onion soup to truffle risotto taking guests on a journey. 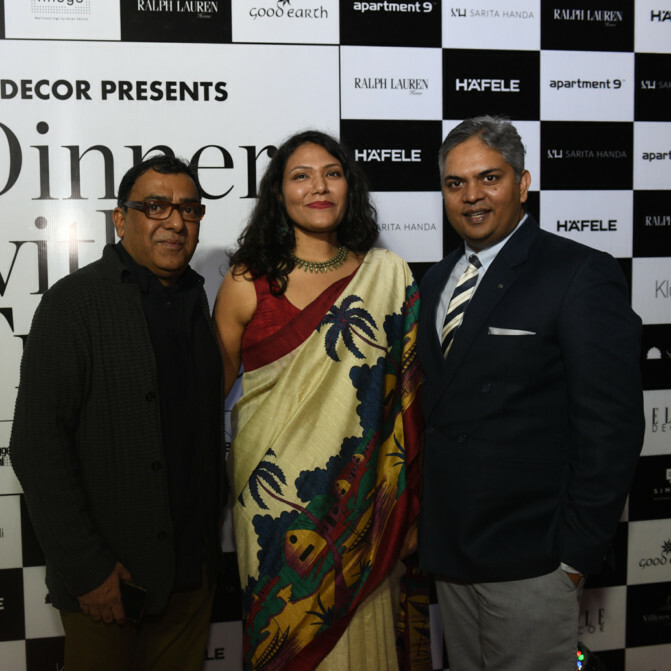 The fairy lights dimmed as the night ended, and guests left with gifts, unforgettable memories and a copy of the magazine’s Collector’s Edition issue, signed by the legend himself.